Feelings: Modern RnB Kits from MVP Loops is a hot new modern R&B product infusing the hottest styles from hitmakers like Ella Mai, Beyonce, Alina Baraz, Justine Skye, Teyana Taylor, and more. Feelings is that perfect combination of melodics and rhythms. You get lush keys and synth pads, hot drum patterns, and moving baselines that will inspire you. Included are 10 construction kits with individual loops and a full mix, music mix, and drum mix. Mix and match loops to create tons of new music ideas. The product is brought to you by the MVP Loops team with major industry credits, and whose products graced more than 1 dozen of last year's top 100 songs! 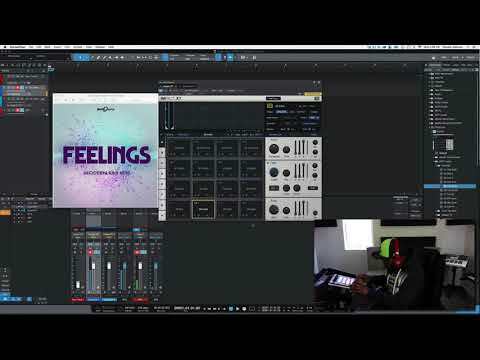 Download Feelings today!